It’s late, I can’t sleep and I am up reading all kinds of things on the internet. I hope you read my about page, because if you did you would have known that I am also a military buff that almost joined the British Army. I was reading up on various ships and one thing led to next and before you knew it i discovered that there was once a Crown Colony Cruiser in the British Royal Navy named after Jamaica. 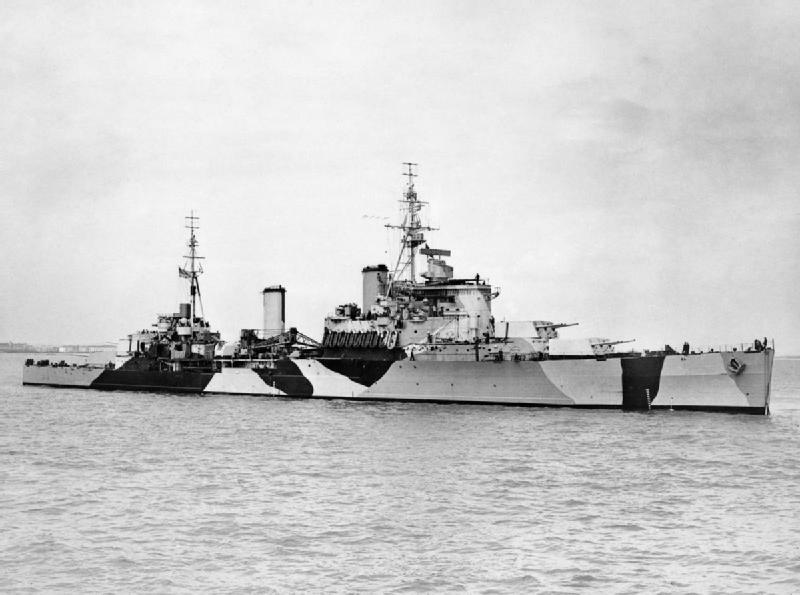 The HMS Jamaica as she was called was one of many light cruisers named after what was then British colonial “possessions”. The HMS Jamaica saw action all over the world especially in the second world war and was one of the naval stars of the Korean War where it picked up the nick names “galloping ghost of the Korean coast” and “Fighting J”. Why don’t they teach this stuff in local and regional schools instead of so much American, European and the whole watered slave trade and flawed Caribbean history. Just thought I’d geek out and share that fact with you guys. If you want to read more check out the HMS Jamaica page on Wikipedia or on Britain’s Small Wars. Good post. It’s great to find things that you can have a little national pride in. @ Contamination, National Pride…thats something Jamaica needs. hmm. Interesting factoid. I wonder what else our lovely colonial foreparents named "Jamaica" to remind themselves of their ownership rights? Jamaica needs a new working definition of "national pride"; I propose that our new national identity be one that explicitly rejects the violent defensiveness and willful ignorance that we now see on display. I’ve always thought that I was a product of the ‘good’ kind of nationalism (not a fan of this whole national identity thing in general), but its hard to say that there was ever such a thing these days when the only kind you see/hear is downright scary. My father Bill NcGrath served on the “Jamaica” during the onset of the Korean conflict. As with most people of that generation he seldom spoke of what he and his shipmates endured. Through the internet I have discovered most of the history of this ship. The Jamaica was the first ship hit by the North Koreans and indeed sustained the first casualties before the UN even became involved. I am a Trainee Instructor with Margate Sea Cadets (UK) and our unit is named TS Jamaica, after this ship. Having read the history of this vessel it is very interesting to see how much she did during WWII. She even appeared in the film The Battle of The River Plate (doubling for HMS Exeter)! Thanks for posting this, Jamaipanese. There are so many interesting facts about Jamaica that we don’t know. Hi, My Grandfather was on this ship in WW2. One of the family memorabilia is a menu card that has the signatures of the survivors from the Scharnhorst in 1943 (Boxing Day Battle of North Cape) that my Grandfather helped out of the water. He never mentioned the war again though once he was home. Interestingly, my Father was born the day before the Battle of North Cape on Christmas Day and named Christopher. So this ship has a strong place in my family’s heart. If Jamaica can be proud of this ship, then that is great, I am certainly proud of what it means to my family. hi joe, not too sure if your father knew my grandad Francis Howe, I think he was a petti officer on the Jamaica at this time. Would be nice to hear about his life on board as he never told us anything of his service. Unfortunately he passed away in 2008 and have various photos and only ever know my granddad in them!! My granddad was also on the ship when the battle with the Scarnhorst took place. My cousin and i only found this out when he was in hospital and we came across a hand written account of the battle and the part the Jamaica played. Unfortunately these have become lost but i do have quiet a few pics of my granddad while on board various ships and a photo of the Jamaica crest. My granddad never spoke of the war too even when asked he’d change the subject! my grandad Ernest Bailey served on this ship sometime in the 50’s i think … does anyone remember him? My grandpa served on HMS Jamaica! Hi my granddad also served on hms Jamaica his name was Francis Howe, would love to hear from anyone who had known him. As once the war was over he didnt speak of it.